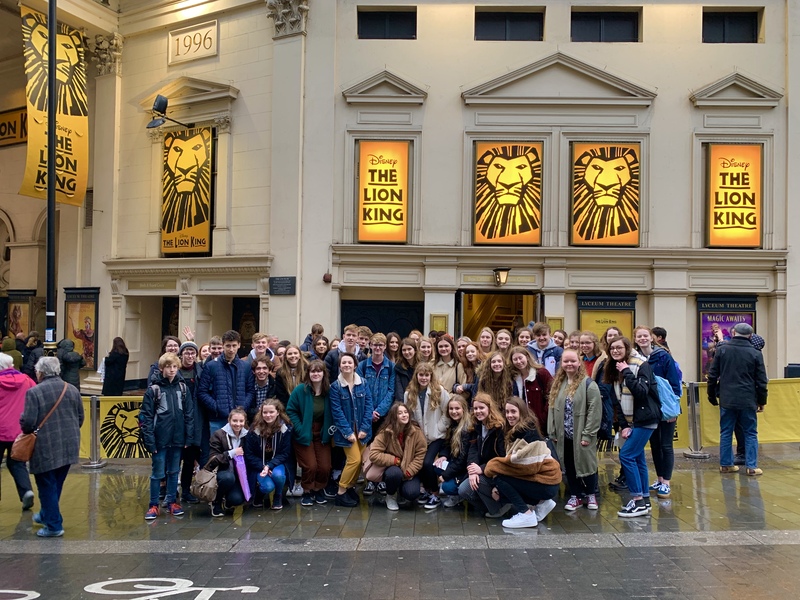 On Wednesday the 16th of January, as the world began to wake up, we set out to London to see the famous ‘Lion King’ production. Although sleepy everyone was buzzing as we got onto the coach. With a quick stop at Oxford services to grab a little more breakfast we arrived with good time in London. Once there we walked over to Covent Garden for lunch and a look around; we listened to the performers and watched the pigeons. We then headed over to the Lyceum Theatre to watch the show. As soon as we arrived at the theatre the atmosphere was buzzing and we waited with bated breath for the show to start. As all the shows do, the ‘Lion King’ blew our socks off and with so much to take in from puppets to scenery it was a lot to process. When the interval came chatter immediately broke out about the wonderful set design and fantastic costumes. The creativity and imagination used was incredible and the performance was stunning. The second half was equally as brilliant and we were left buzzing afterwards as the coach picked us up and we left to head home on a considerably quieter coach. We are so thankful to all the teachers for taking us on such an enjoyable trip, and we hope to go on another very soon!